Understanding the fundamental of androgyny is vital as it differs from the society’s idea of beauty in women. There is a subtle realisation that the inner aspect of oneself is a mixture of the dichotomy of traits stereotypically associated with man and women. To say that all women are passive and all men are aggressive is an ambiguous statement. While tendencies may exist, it is safe to say we all belong to somewhere in between. Spring/Summer 17 explores on breaking gender boundaries with femininity intact. Corsetry laces are used to shape the torso in a masculine manner. Tailored pants are slashed to allow it to fall in a feminine manner. This constant coalescence of details from the women and silhouette from the men creates an amicable contrasted outcome, allowing them to meet at a universal point. 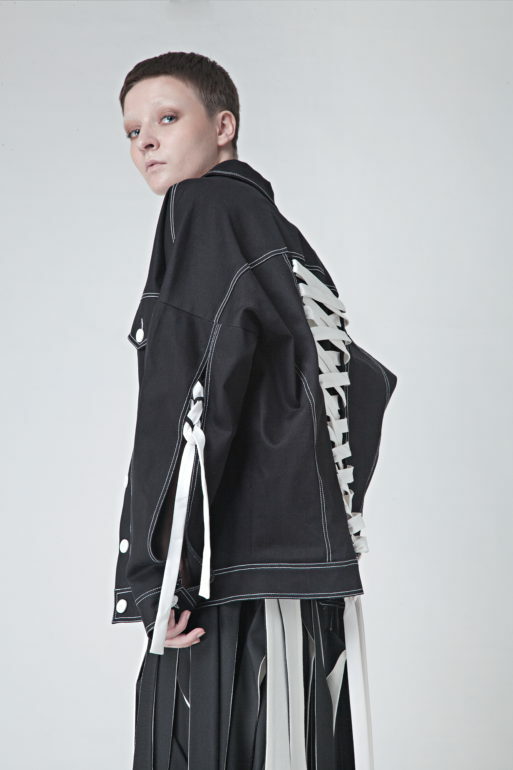 Androgyny is more than just boys in frocks and girls in suit, it is an attitude that goes beyond the unspoken rules of gender. max.tan language. 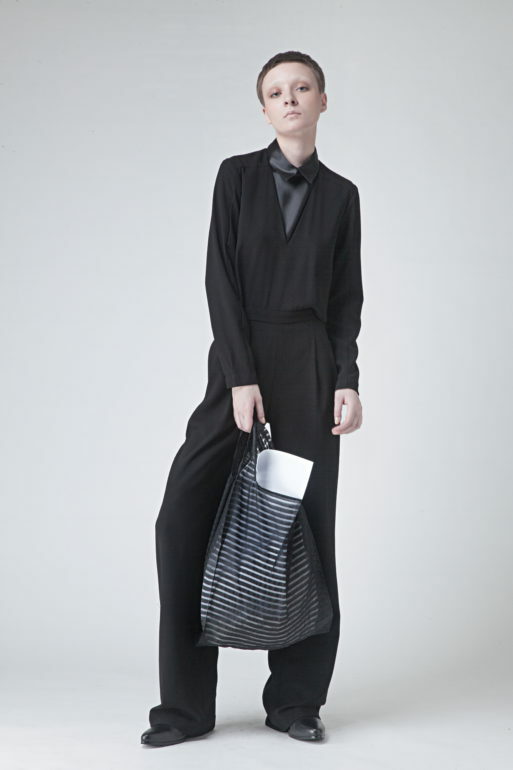 Maximizing on minimalistic ideas, the collections evoke a serene universe nuanced with a rebellious spirit. Masculinity and femininity are crafted into each collection. 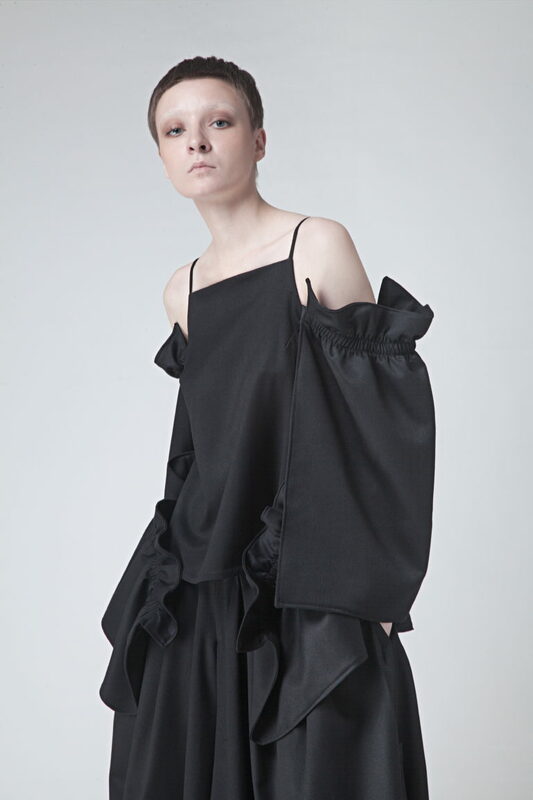 Infused with a touch of contemporary art, the garments play with volume, modified shapes and use, oversized, undersized, deconstruction, reconstruction and transformation. These factors form the underlying DNA of MAX.TAN. The label advocates an alternative and quiet fashion lifestyle; an free spirit who dresses to please no one but herself. The debut collection Spring Summer 2010 Ready to Wear collection was listed as the top ten Spring Summer 2010 collection from premier trend reporting and forecasting website stylesight.com. The striking DNA has put MAX.TAN in the forefront as one of Asia’s rising avant-garde designers.